Our integrated real estate brokerage services are centered around the client's needs. We specialize in commercial brokerage and leasing. Call today and speak to a licensed professional (860) 437-7070. At Northeast Property Group, our integrated core Real Estate Services provide our clients with a broad range of solutions for their real estate needs. Northeast Property Group’s brokerage division, headed by Principal Broker Dan Barber, CCIM, provides high quality representation to owners of Commercial and Residential Real Estate with sales, marketing and leasing expertise. The business of real estate brokerage is about information as much as it is about buildings and land. Whether you are a tenant, owner, landlord or owner occupant, the quality of information that is provided to you underscores well-informed decisions. Northeast Property Group is committed to maintaining up to date information necessary to advise and guide our clients to the conclusion of successful real estate transactions. Our Commercial Services Division offers and provides our clients with high quality representation services in the leasing, acquisition and disposition of Industrial and Office Properties, Retail Plazas and Investment Property. Northeast Property Group is committed to providing the highest level of service while adding value to our buyer/tenant representation clients. When the time comes to acquire a new facility, we will consult with you to gain a complete understanding of your business and the factors that are crucial to your move. We will survey the entire market place based on criteria developed in working with you to identify all the properties available to you. At the core of our successful acquisition strategy is our ability to create competition amongst sellers and landlords for your business. Through our confidential negotiation process and our sophisticated analysis techniques, we will deliver acquisition terms that are best for your needs in a format that is easy to understand. Best of all, when providing buyer/tenant representation services, we look to the seller/landlord to pay for our fees, so often there is no cost to you. In fact, your company will save money by keeping its resources focused on what you do best, running your business. The professional brokers at Northeast Property Group have in depth experience in the marketing of commercial real estate throughout the region. Whether you are looking to sell, lease, or sublease space, we will develop a marketing strategy that is goal oriented to meet your specific needs and designed to maximize value. 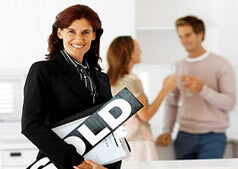 Our Residential Services Division provides traditional services for home sellers and buyers. The focus in this business sector is to utilize the modern methods now available to the residential property practitioner and enhance our capabilities to provide superior service. We provide our agents with laptop computers and high speed wireless internet communications to access data quickly and conveniently. We proactively seek internet based initiatives to assist our agents to excel. Our Residential Team has created and is growing our latest venture, Condo4Sale.com, a specialized marketing tool for the condominium seller and a clearing house of condominiums for the condo buyer. Dedication to our clients through all phases of the real estate transaction process. Southeastern Connecticut /Southern Rhode Island are strategically located between New York, and Boston, the two major marketplaces of the Northeast. 150 Million people, one third of all United States manufacturers, and two thirds of Canadian manufacturers are located within 500 miles of the region. New London County has a population of approximately 250,000 persons. The County is made up of 11 cities and towns stretching along the shoreline from the eastern shore of the Connecticut River to the border of Rhode Island and north to, the terminus of the Thames River in Norwich. The southern Rhode Island area adds approximately 50,000 persons to the population total. The deep water Port of New London recently reopened the State Pier after major renovations. The Port includes an International Free Trade Zone, spurring interest in the New London area as an international trade port. In addition the port hosts ferry service to Eastern Long Island and surrounding destinations. The region is served by both Amtrak, with stations in both Westerly and New London, and Shoreline East rail passenger service to New Haven. Groton/New London Airport hosts US Airways Express and several regional carriers. The Southeastern Connecticut/Southern Rhode Island area is a diverse marketplace that has been commonly known as having its primary economy dependent upon manufacturing and defense contracting. The major Industrial employers in the region historically have been General Dynamics, Pfizer, Dow Chemical, Northeast Utilities, and US Naval Submarine Base. Casino Gaming with associated entertainment and hotel venues has become a major employment source in Southeastern Connecticut. It is estimated that a total of over 20,000 persons are now employed. Other large non-industrial employers include Computer Sciences Corporation and the regions three major hospitals, Lawrence & Memorial, William Backus, and The Westerly Hospital. Pfizer has recently completed a major expansion, including a new Central Research Facility. The project included the creation of 2000 new jobs located in a new 500,000 square foot research building in Groton and a 790,000 square foot office complex on a 24 acre site in New London. The Tourism Industry is enhanced by the growth of the two casinos, the recent renovation and expansion of the Mystic Marine aquarium, and the popular Mystic Seaport. Persons moving into the region from other areas are filling many new jobs created at the Casino Resorts and Pfizer. The expansion at Pfizer demands a national and international personnel search for qualified scientists and professionals. Companies that provide services to the growing industries are appearing in the market adding ancillary employment and office and industrial property use.